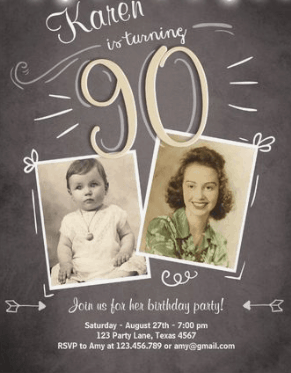 90th Birthday Invitations - 30+ Fabulous Invites to Impress Your Guests! 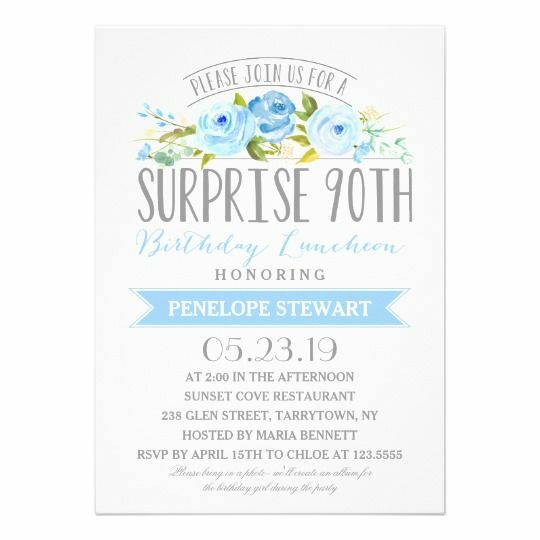 The party invitations you choose should let the guests know what sort of party you’re planning – a surprise party, a dinner, a casual celebration, or a more formal celebration. 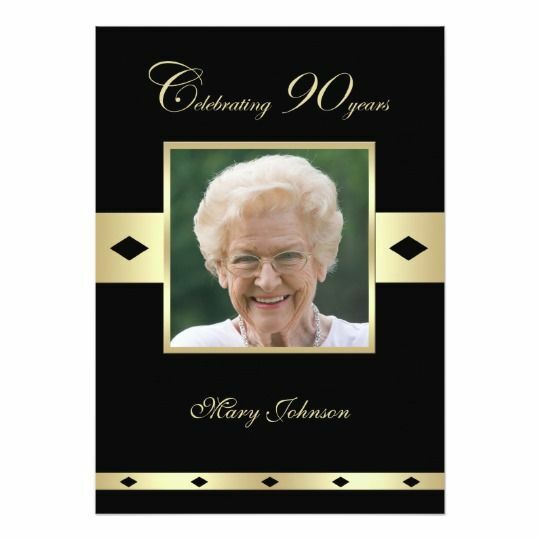 Set the tone for a memorable party with gorgeous 90th birthday photo invitations! 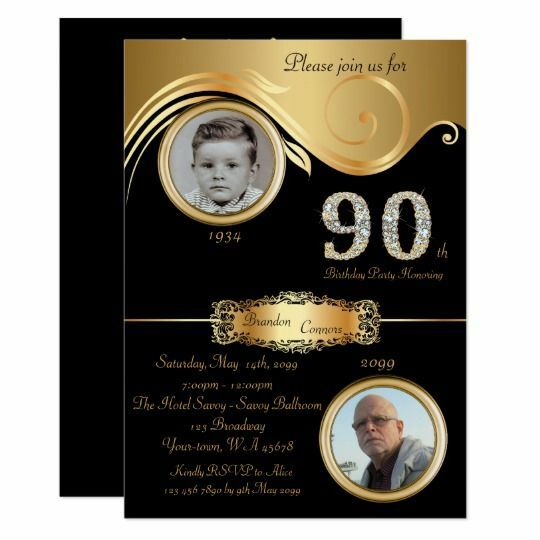 You can choose either single photo invitations or invitations that feature multiple photos. 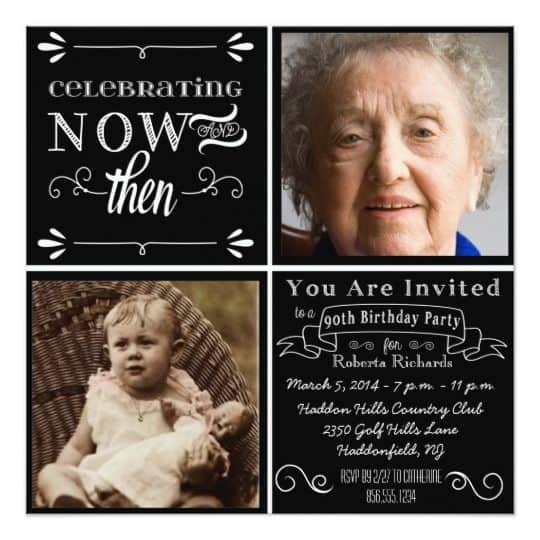 Multiple photo invitations are a fun way to show how the guest of honor has changed over the years. 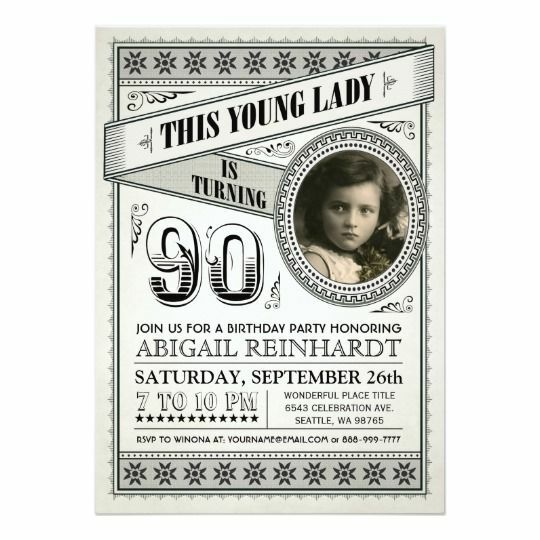 For a single photo invitation, consider using a picture of the birthday man or woman as a child to add a little extra charm or humor. 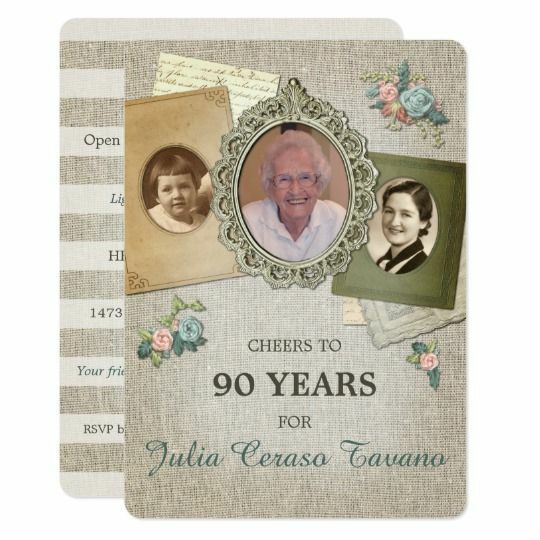 90th birthday photo invites are really easy to order online – it only takes a few minutes longer than ordering regular invitations. 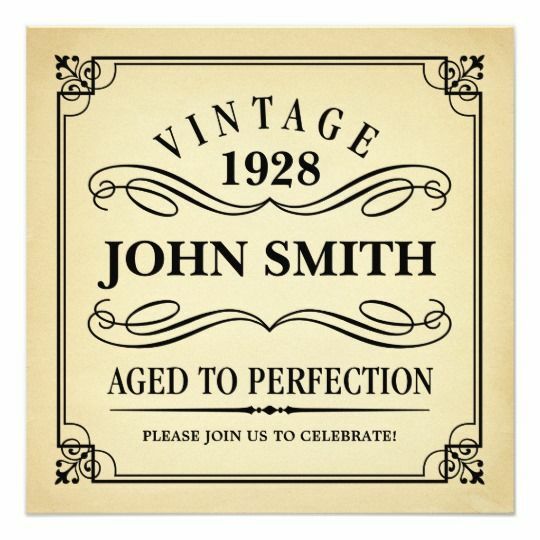 Just upload the picture or pictures and add your party details. 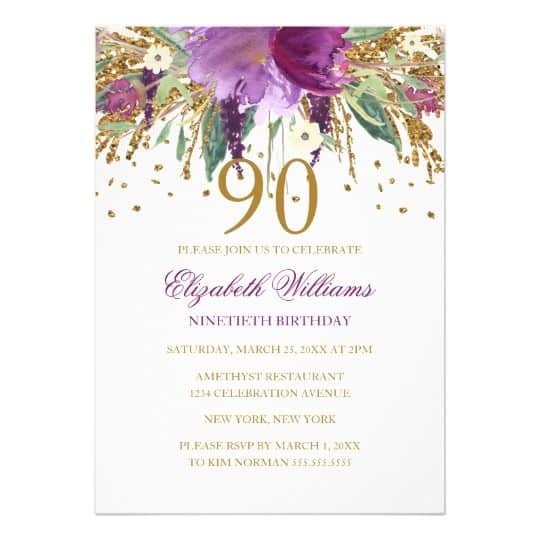 You’ll find that there are many delightful 90th birthday invites for women – the hardest part will be picking the one you like most! 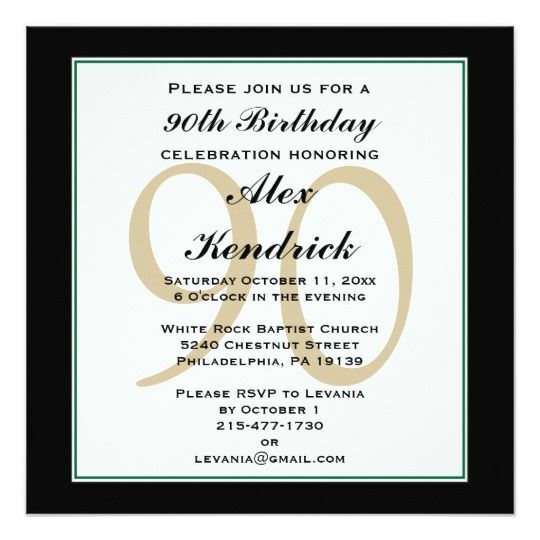 Look for invitations in the guest of honor’s favorite colors. 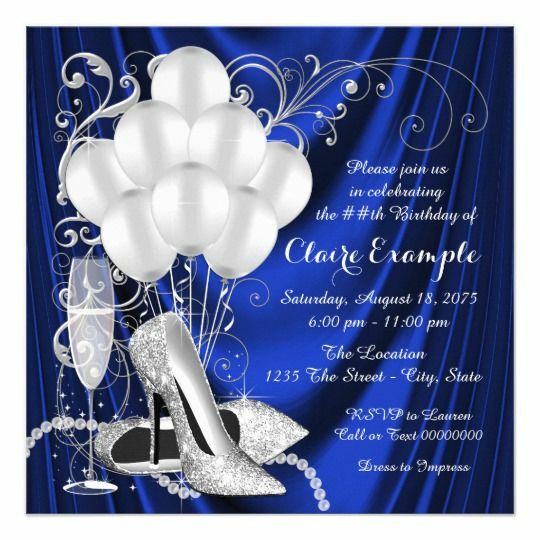 If she’s the type who likes a bit of glitz, look for invitations that feature glitter or sparkles. 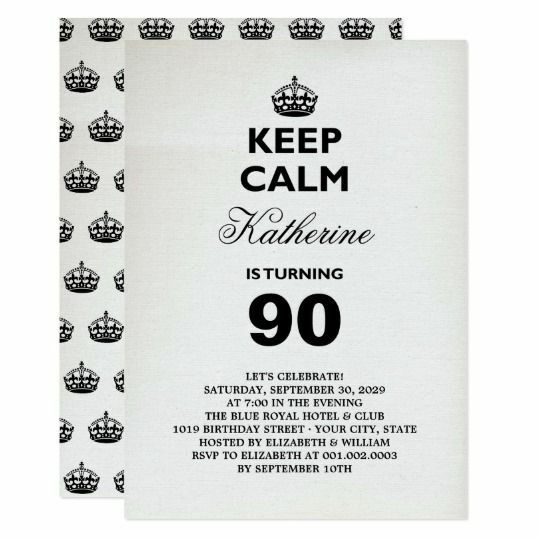 Popular patterns include floral (either formal or casual), monogrammed, elegant damask, or photo invitations. 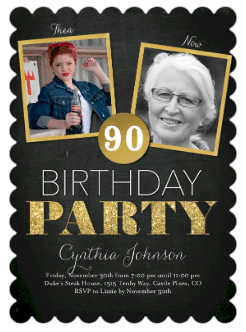 Make sure that she’s comfortable with invitations that feature her age – although most women are proud to be turning 90, a few women can be sensitive about letting people know their age. 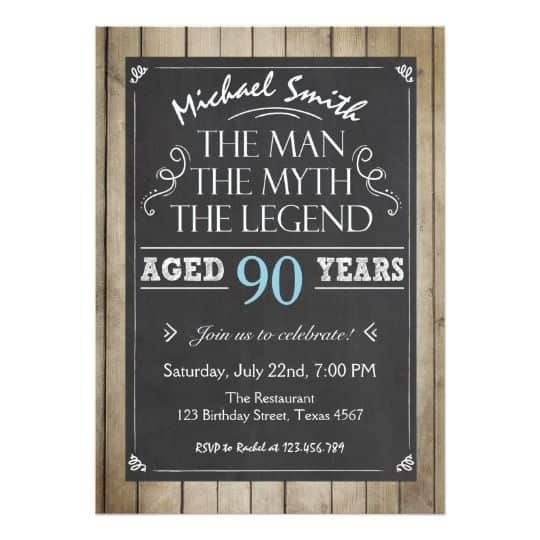 When choosing 90th birthday party invitations for Dad, Grandpa, or another favorite man, look for masculine colors and themes. Stripes, plaids, and darker colors are the best choices for invites for men. If he has a favorite sport or hobby, consider incorporating those into the theme. Fishing, golfing, poker, beer and cocktails are some of the more popular themes for men’s invitation. 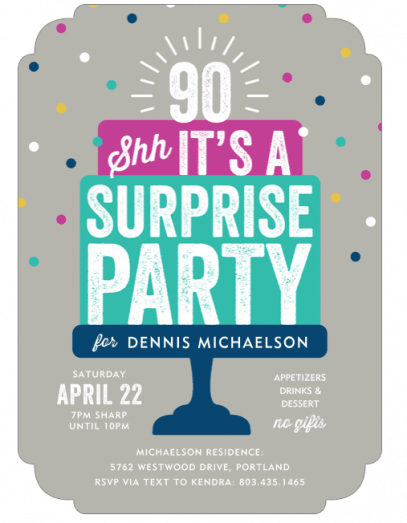 If you are planning a surprise party, invitations that emphasize its covert nature are essential. You want to make sure that none of the guests spoil the secret! 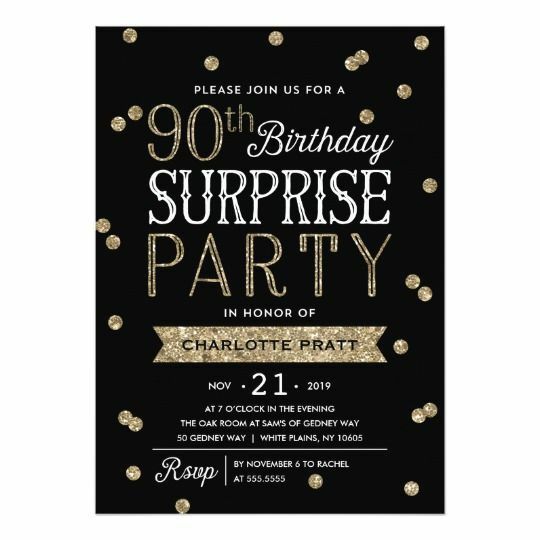 Designs that feature the word “Surprise” in bright, bold lettering are especially helpful for undercover operations. Are you planning a fancy party, perhaps with dancing or formal dining? 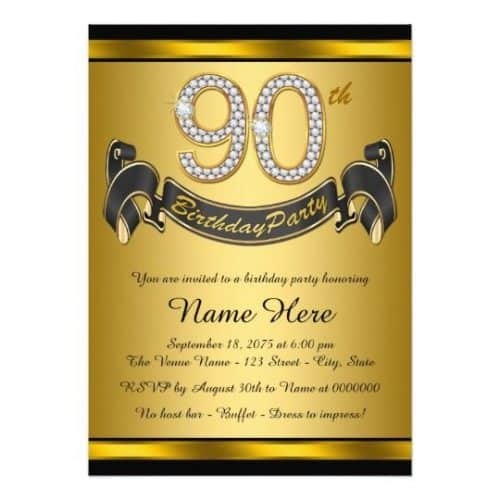 Then be sure you choose formal invites that set the tone for an elegant celebration. 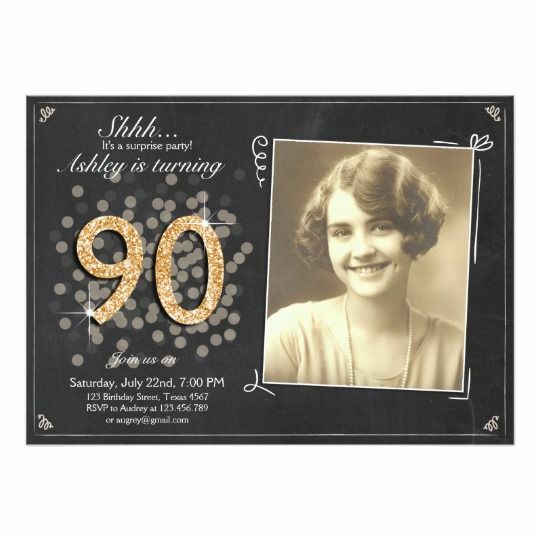 Look for invitations that feature a bit of sparkle and elegance. 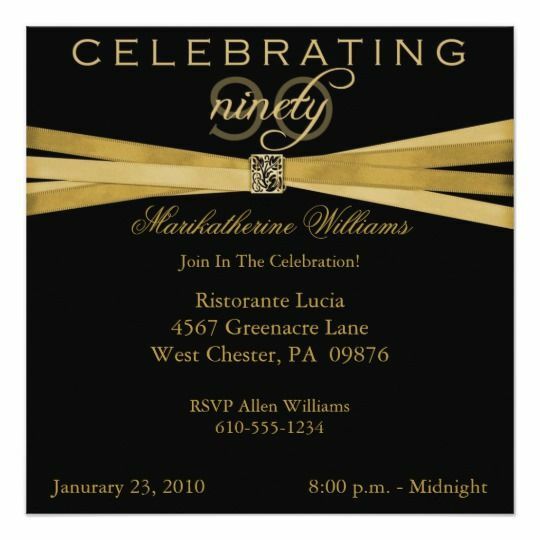 The most popular colors are black, gold, and silver, but you can also find formal invitations in other colors. 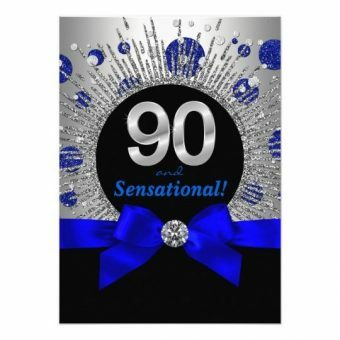 For a fancy soiree, look for invites that feature a jeweled or glittered look. For a woman's evening party, consider invitations that feature high heels for a festive look. 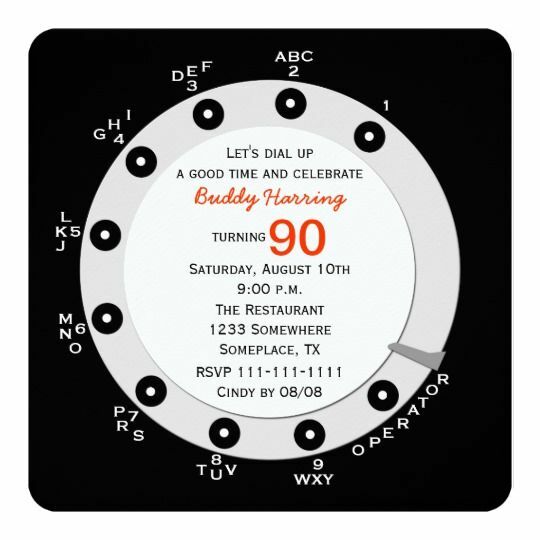 If you're planning a celebration for the man or woman who has a keen sense of humor, consider sending funny invitations. Start your party off with everyone laughing! 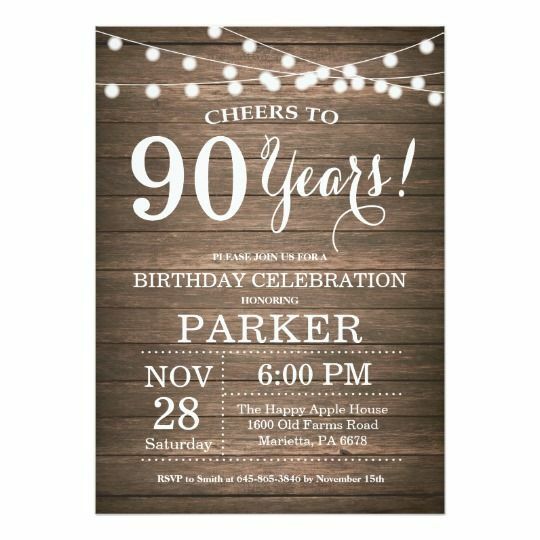 One note of caution here...avoid "Over the Hill" type invitations; they're really not appropriate for someone turning 90. 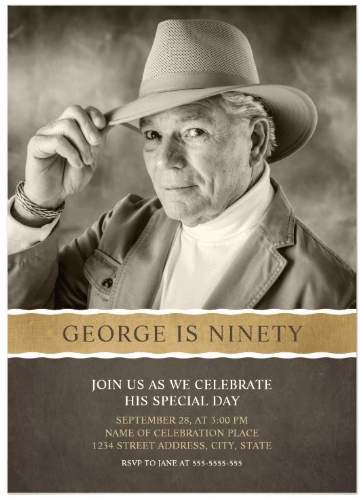 At 90 years old, this milestone birthday should be celebrated in style. As a sneak peek of the party to come, invitations play a key role in the party-planning process. 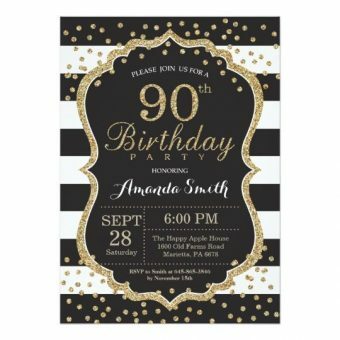 As you shop for invitations, here are a few tips to help your party’s first impression be a memorable one. 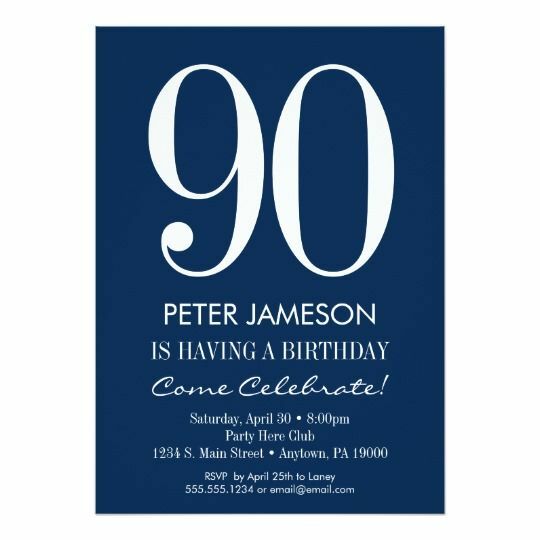 Drawing inspiration from the party and the star of the show, choose invitations that blend well with its intended atmosphere as well as the guest of honor’s personality. 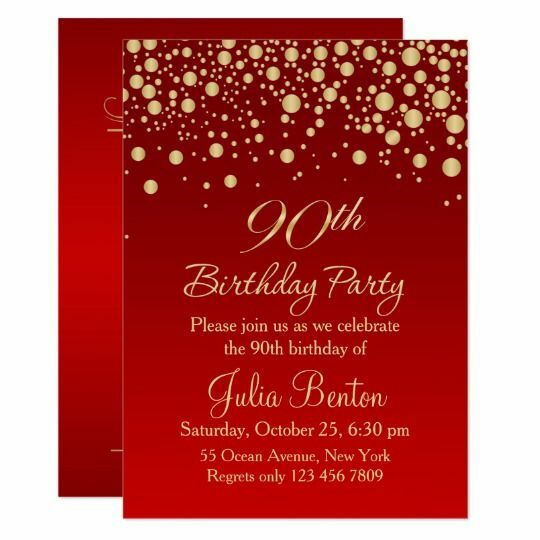 If you’re aiming for an elegant feel, invitations with fancy font and rich hues would be fitting. 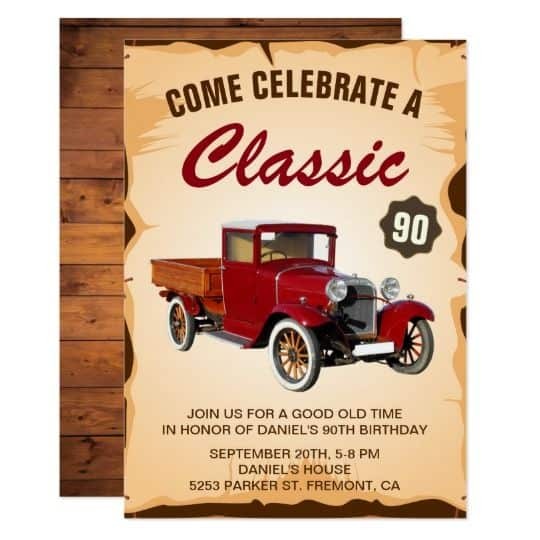 If you’re planning a laughter-filled event as a testament to the star senior’s sense of humor, you may lean toward brighter colors with whimsical designs. 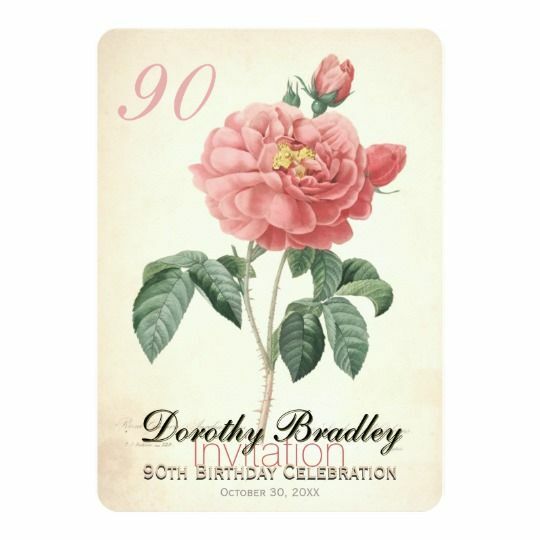 From picturesque invitations to theme-centered varieties, your options are endless. 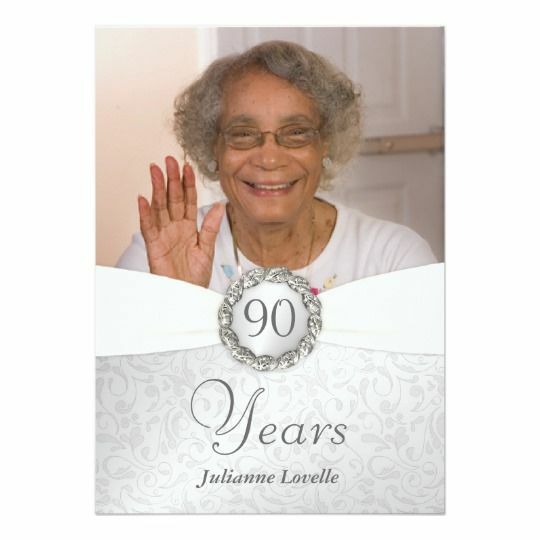 Perhaps the most personal option, photo invitations provide the unique opportunity to greet guests with a smile. Featuring the birthday star, a picture invitation puts them front and center where they belong. With a variety of colors, designs and backdrops to choose from, you can’t go wrong with this picture-perfect style. For birthday parties featuring a certain theme, themed invitations are a great way to give guests a small glimpse of the fun times ahead. From casual backyard barbecues to tea parties and champagne extravaganzas, you can find or create remarkable invitations to set the tone for the big day. 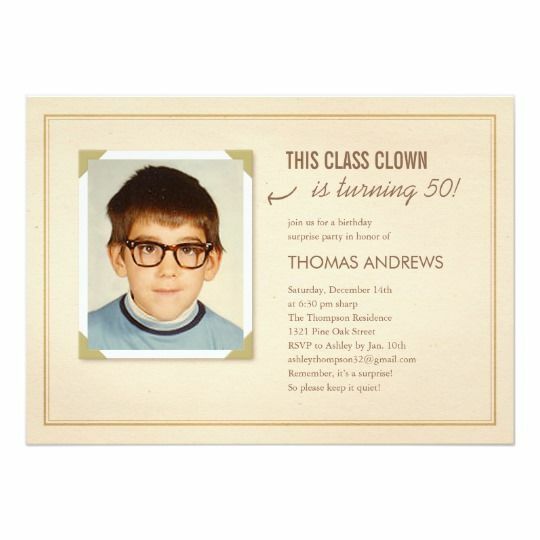 Whether your party allowance is big or small, impressive invitations are available to fit every budget. To manage costs efficiently, keep in mind that higher quantities typically offer discounted rates, so if you are on the fence about ordering 50 or 100, it may be smart to round up. As with many things in life, the key is to find the right balance between cost and quality. Also, you can search for discount codes to help lower expenses. Before ordering invitations, spend time forming a guest list. If it’s not a surprise, consult with your favorite senior to determine who they would like at their party. Do they want an intimate gathering? Consider inviting only their closest family and friends. Are they young at heart and love to party? In this case, you can create a guest list as big as their personality that includes loved ones from every stage of their life. While not required, asking guests to RSVP is a great way to estimate attendance, which is helpful when planning for food, seating and other arrangements. To plan efficiently, it is best to request that guests respond no later than two weeks before the party. Also, include multiple contact options so guests can choose the method of communication that is easiest for them. Besides the date, time, venue and RSVP, you may want to include a few other pieces of information to make the most of your invitations. For instance, a small map and simple directions may be helpful to guests who aren’t familiar with the party’s location. For out-of-town visitors, you may want to provide a list of respectable hotels to make their stay more enjoyable. To highlight the party’s theme, consider asking guests to dress accordingly. For example, if you are hosting a Hawaiian-inspired party, encourage guests to wear tropical attire. When it comes to ordering invitations, you want to give yourself plenty of time to review the end product before sending them out. With this in mind, consider ordering them as soon as you have hammered out all the details. This allows you to catch any errors and resolve issues without putting yourself in a time crunch. Most companies take anywhere from one to two weeks to deliver your invitations, and then you will need time to address and mail them. While expedited shipping is an option, it is an expensive one, so planning ahead and ordering early will help you stick to your budget. 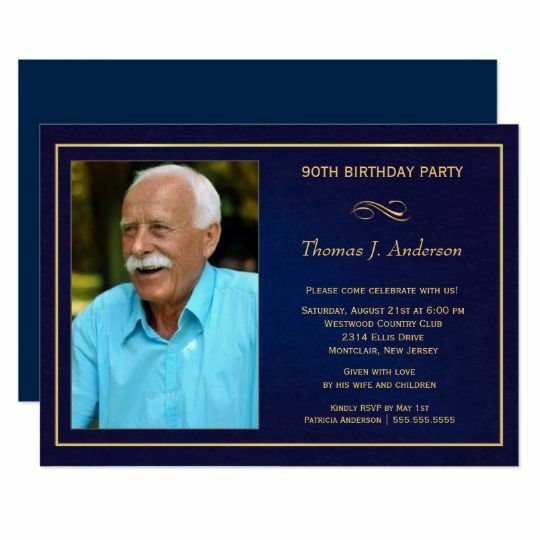 For a casual function, it is best to mail invitations about a month prior to the party. However, a larger-than-life celebration calls for more advanced notice such as 10 weeks. This will be especially appreciated by the guests who need to make travel arrangements and hotel reservations. 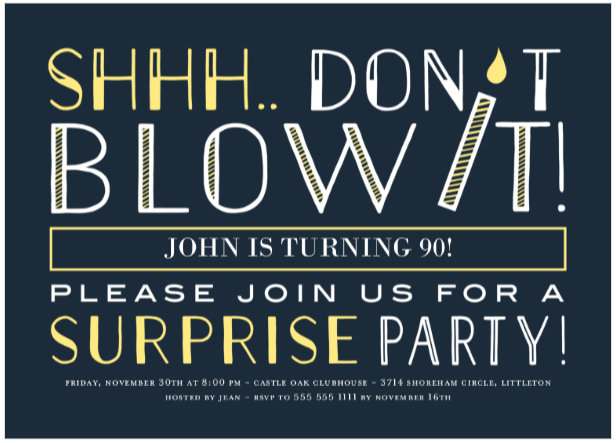 The wording you choose for the invitation really includes upon the type of event. 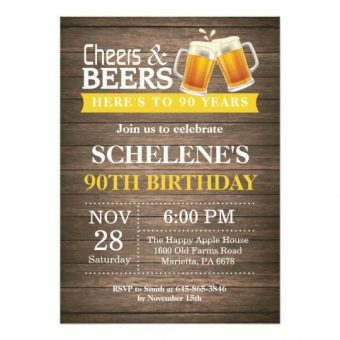 Be sure to include the reason for the party, the date and time, and the location of the party. You may wish to include a map to the venue if it’s difficult to find. 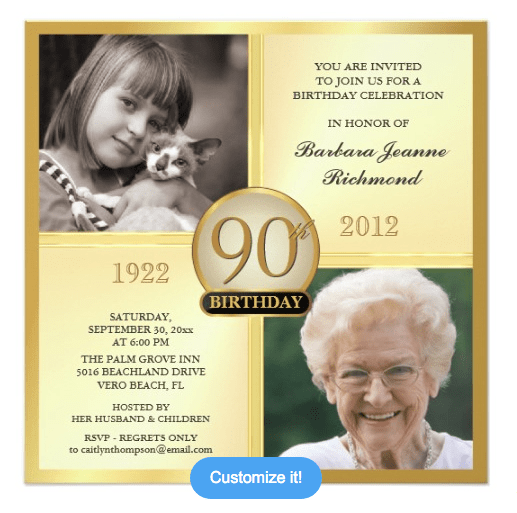 Don’t forget to include RSVP information, as well as a respond-by date if you need. You’l definitely want to know how many people to plan for! One of the few things that improve with age: Friendships! For cake and cocktails in his honor!